Flax oil, spare parts, knobs, bowls & lids. 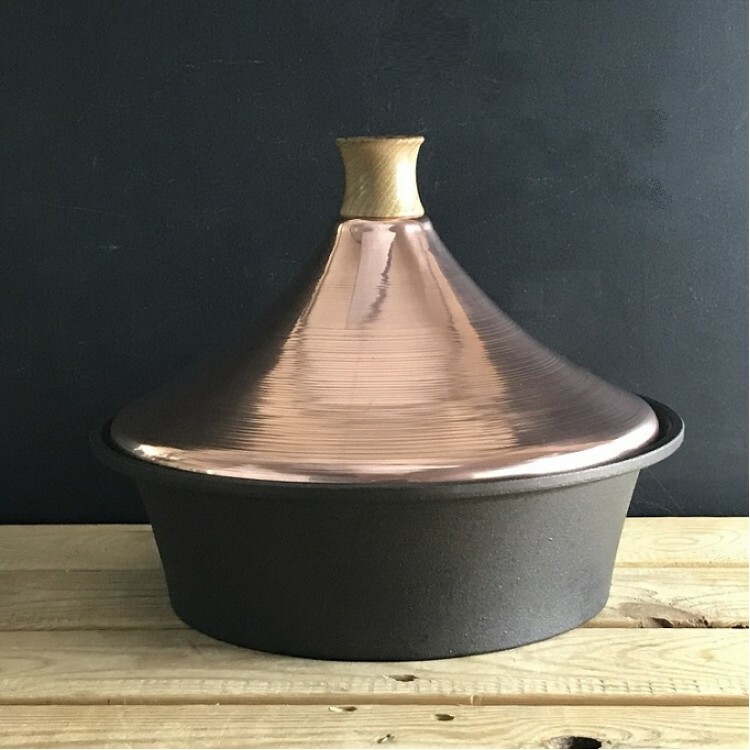 Care of copper pans and tagines. Tagines: recipes for electric, stove top, outdoor & garden hob. 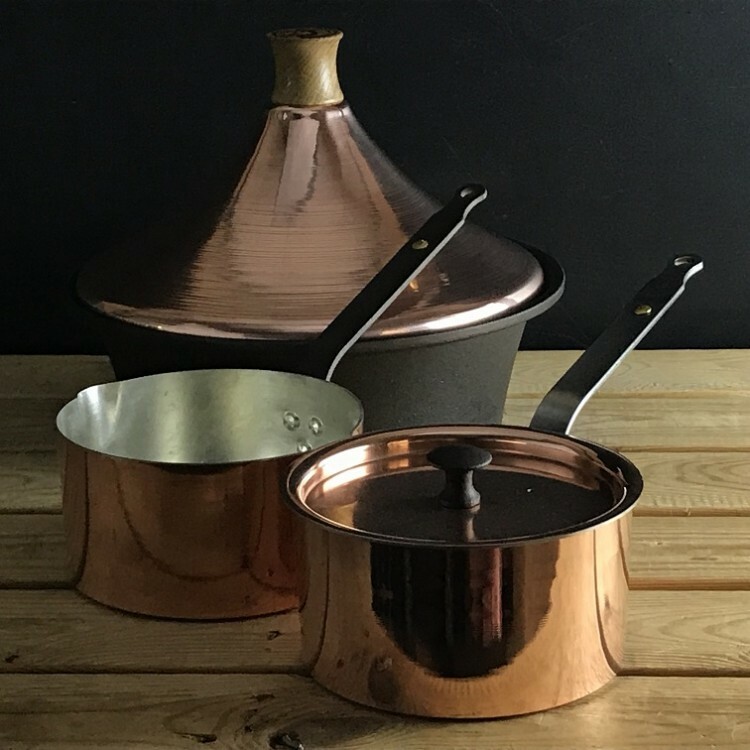 A collection of hand crafted copper 4¾", 5½'', 6 "saucepans, a milk pan and an elegant tagine. 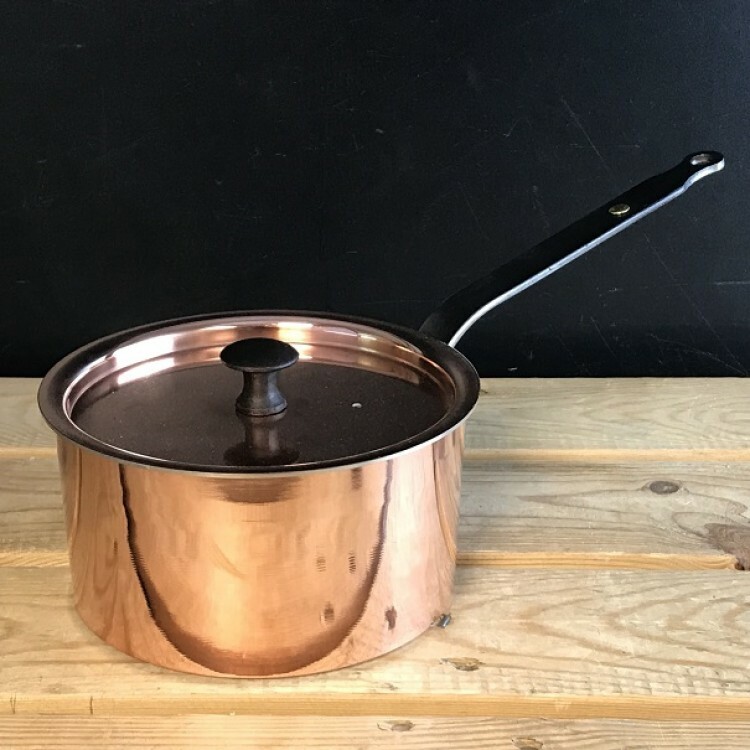 The pan bodies are all spun in one piece from a heavy duty blank of solid copper; no joins, welds or seams. 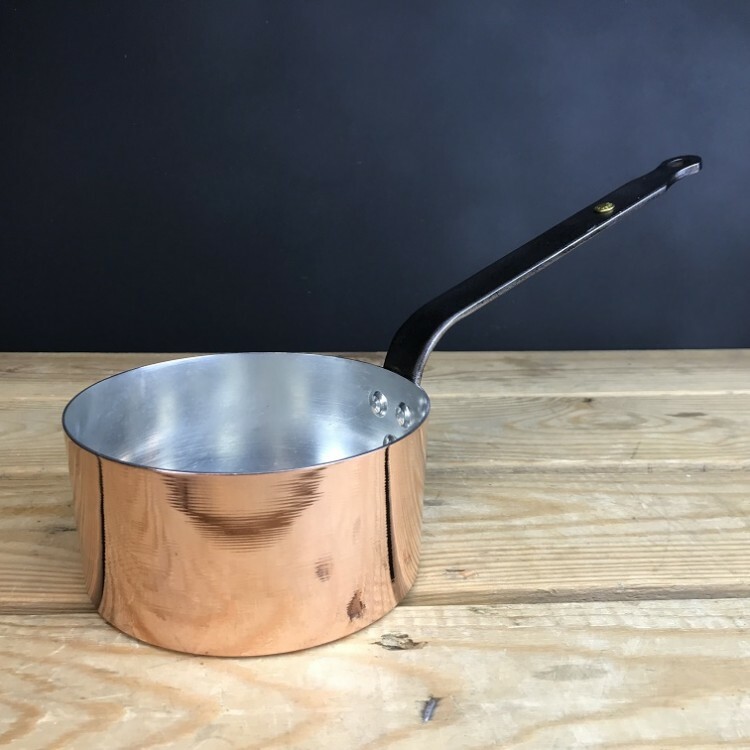 The interior of the saucepans and tagines is lined with hand wiped pure tin, creating the most non-stick conductive cookware available. Hand made by skilled artisans, no two are the same. 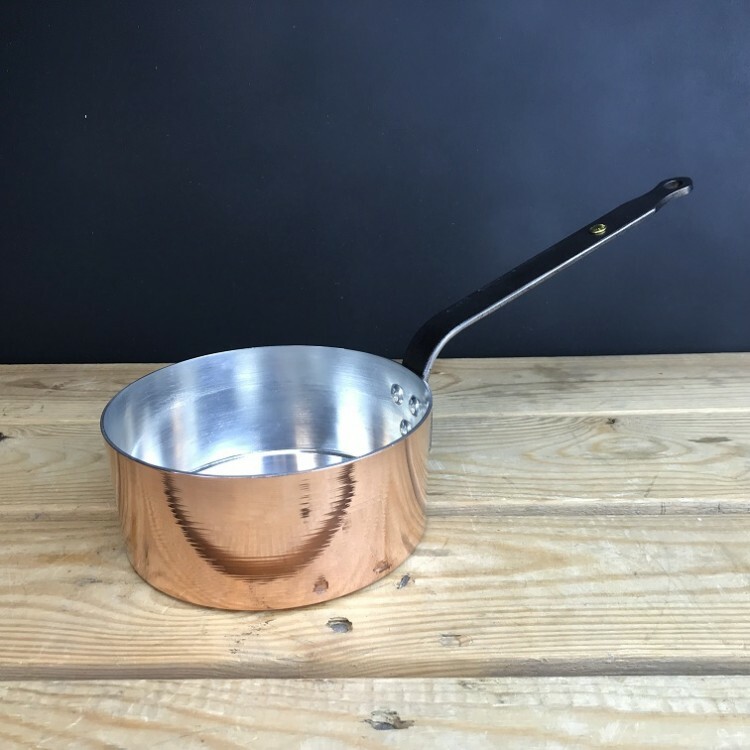 "I tell people all the time, you have to be in love with that pot. You have to put all your love in that pot. If you're in a hurry, just eat your sandwich and go. Don't even start cooking, because you can't do anything well in a hurry. I love food. I love serving people. I love satisfying people." Chase was a "master chef in the Creole tradition" in New Orleans. 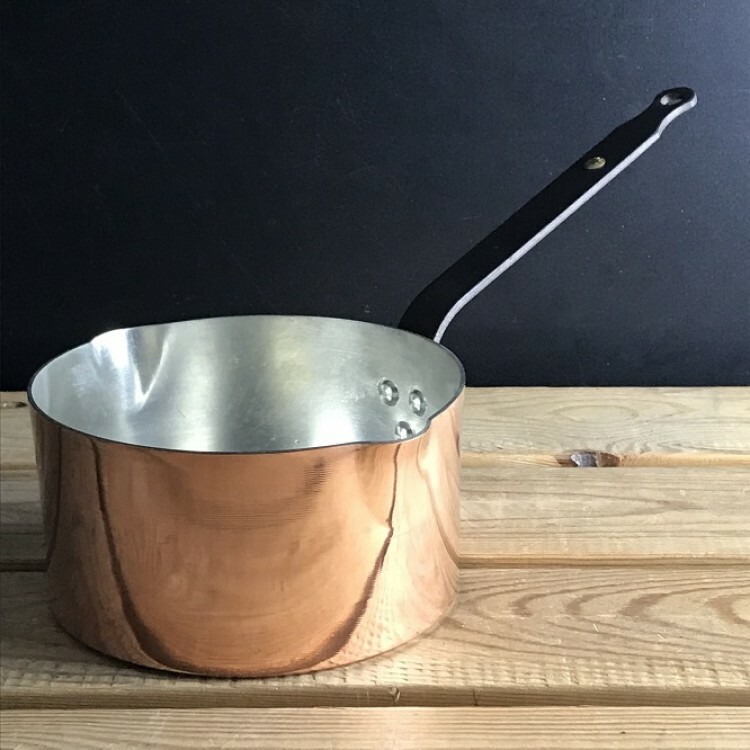 Shropshire Made 4¾’’ (12cm) spun copper saucepan with pure tin lining © ..
Shropshire Made 5½" (15cm) spun copper saucepan with pure tin lining ©&n..
Shropshire Made 6’’ (15cm) spun copper milk pan with pure tin lining © Tin lin..
Shropshire Made 6’’ (15cm) spun copper saucepan and lid with pure tin lining © ..
Netherton Foundry copper tagine & cast iron bowl. 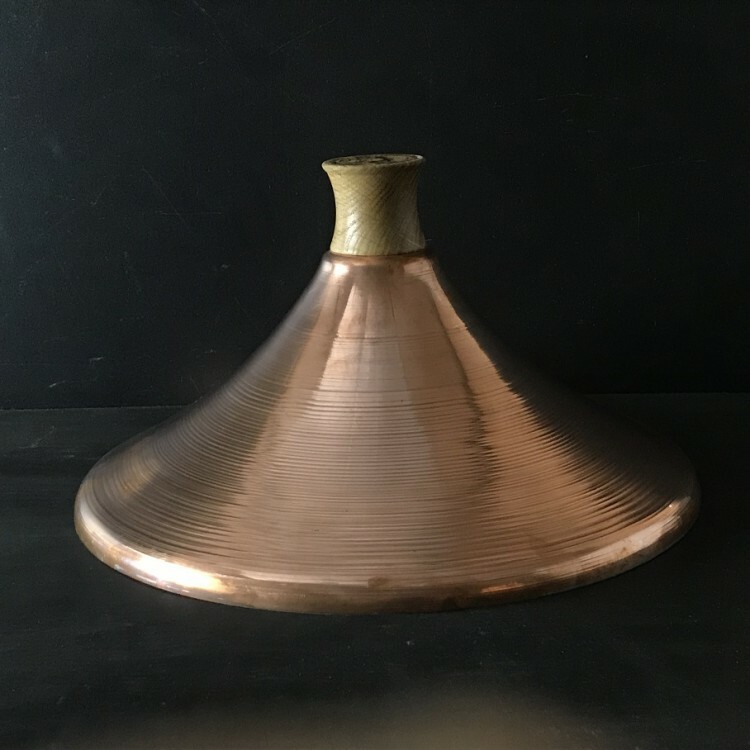 Tagine lid is hand spun by Graham from soli..
Netherton Foundry copper tagine lid. Designed to fit the 4 ltr (7 pint) Netherton Foundry cast ir.. The European Agricultural Fund for Rural Development: Europe investing in rural areas, has provided part funding for the Netherton Foundry high capacity seasoning kiln 2018.